This model, the DeMarini CFX Slapper fastpitch softball bat (WTDXCFA), features a popular -10 length to weight ratio, a 2 1/4 inch barrel diameter, and an extra long 14-inch barrel length that offers maximum plate coverage with optimal barrel control. Buy your DeMarini softball bat today with free shipping right here at JustBats.com. Remember, we'll be here for you from click to hit! Have a question about the 2018 DeMarini CFX Slapper -10 Fastpitch Softball Bat: WTDXCFA? Ask our team of experts and they will respond within 24 hours. What is the difference between the 2017 & 2018 CFX slapper 32/22? The main difference between the 2017 DeMarini CF9 Slapper Fastpitch Softball Bat: WTDXCFA and the 2018 DeMarini CFX Slapper -10 Fastpitch Softball Bat: WTDXCFA is that the 2018 CFX has 3-Fusion technology in both the handle and the end cap. This will allow the player to control the bat better through the zone and reduce overall sting on contact. My daughter is a slapper but also can hit from left and right side. Would this bat perform for both slapping and hitting? 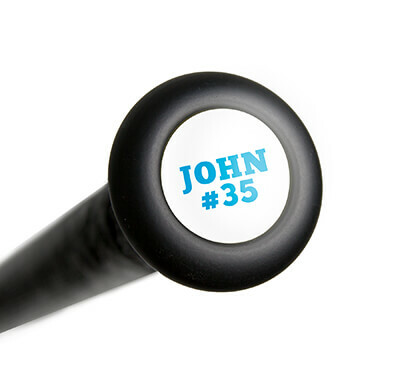 Yes, this bat would work for both slapping and hitting. DeMarini simply extended the barrel length of this bat to 14" and wrapped the grip tape in reverse to better suit a Left Handed hitter. Other than those two details, it is the same model as a standard CFX. My daughter has been swinging a DeMarini Vendetta 32 / -12 for the past 2 years and she loves that bat, we just ordered the 32/ -10 DeMarini Slapper. She is 5'7 135 lbs will be 14 in July, I'm thinking it's a little short but I had her swing a 33" which was 1 oz heavier, she did much better with 32" -10 . We asked the people at the sports store and they said it was fine for her to use that size bat. What feedback do you have? The recommended size to get the 2018 DeMarini CFX Slapper -10 Fastpitch Softball Bat: WTDXCFA in would be a 33'' based on her height and weight. However, it is always more beneficial to go with what the player is more comfortable with. Since she seems to perform better with the 32'', I would recommend staying at that size until she feels more comfortable moving up. I was wondering if you would recommend this bat to be used for a lefty contact hitter. I don"t slap but I'm looking for a balanced bat that could get the job done. I am not really a power hitter but mostly just looking for pokes to get on base. The 2018 DeMarini CFX Slapper -10 Fastpitch Softball Bat: WTDXCFA could still be a viable option for a LHH who is not a slapper. 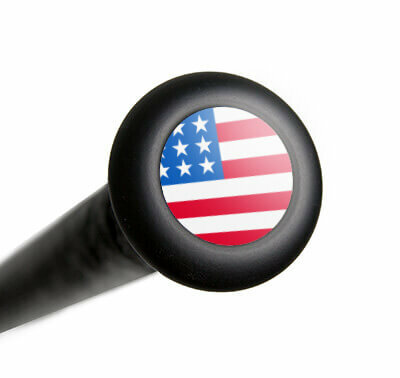 If you are seeking a balanced bat to help improve barrel control for more of a contact approach then this bat is certainly a great one to consider. Does this bat come in a 32? What is the actual difference in length? The DeMarini CFX Slapper -10 Fastpitch Softball Bat: WTDXCFA was made in the 32" length. The difference from one size to the next is one inch in length and one ounce in weight. Is this bat double barreled, or double walled? The DeMarini CFX Slapper -10 Fastpitch Softball Bat: WTDXCFA is not double barreled or double walled, but is a fully composite model approved for play in USSSA, ASA, NSA, ISA, & ISF. Best price, easy website, fast shipping...effortless transaction!